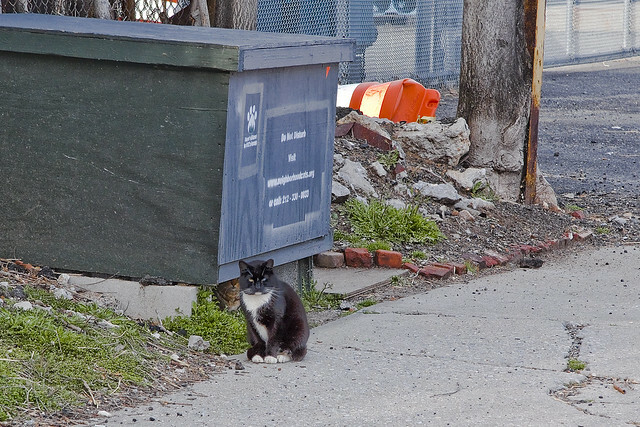 Neighborhood Cats is involved in TNR (trap-neuter-return) in New York City- they give free workshops occasionally to teach others how to care for feral cats. 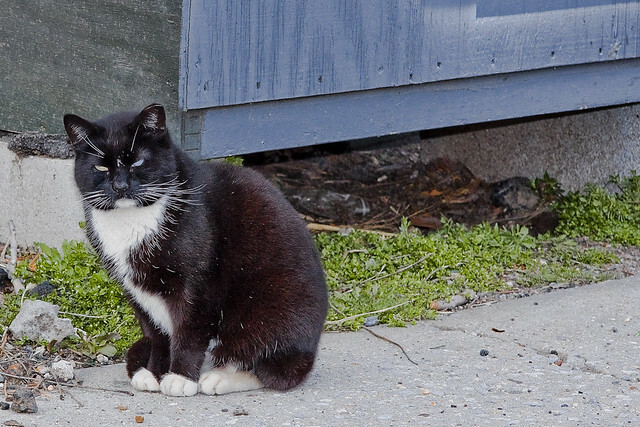 Lots of the cats you’ve photographed have been part of a TNR program; the clipped ears indicate that they’ve been spayed/neutered, and often their caretakers provide housing like the box you found. I do not think it is a coincidence that you, myself and others are drawn to the murky waters of Newtown Creek and surrounding areas. None other than the Great Dreamer of Horrific Landscapes, Salvador Dali, had an affinity for such places. His painting: “The Railway Station at Perpignan” describes his life long fascination with that particular locale. Personally, I find LIC, Greenpoint and Newtown Creek to be fascinating places. The reason for my attraction/obsession is unknown to me other than I perceive a connection there with things unseen. Maybe it is the massive cemeteries which exist there. So many souls and so many stories and now they exist only in memories and alternate realities. That in itself in enough to fascinate anyone. However, there is also the sense of history. The old rail lines are still there. Some hidden under new asphalt but still there. Where do these rail lines go now? Like Salvador Dali’s station, I find LIC to be the center station to a gateway. 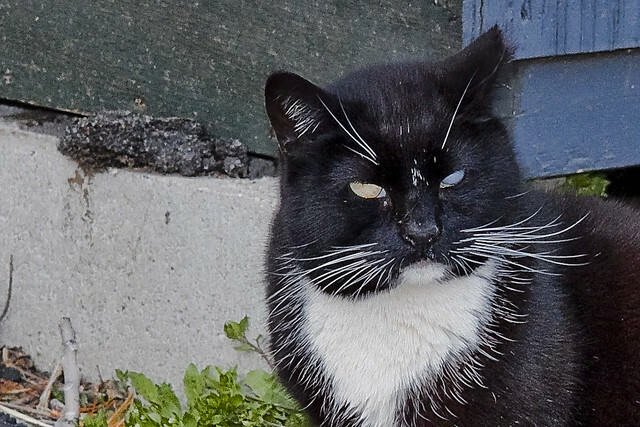 Maybe these The Cats of Ulthar, that you photograph, know the current schedule. One thing is for sure. One day I will board a train there. I suppose we all will. You have a great blog. Thank you for taking the time.